Do you need a Calabasas gate repair company? 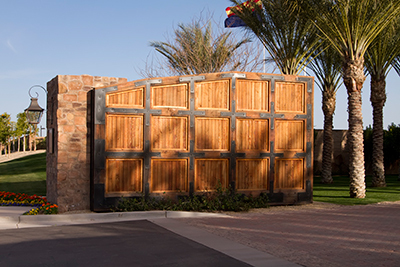 You need look no further than Automatic Gate Calabasas. We are the experts that many Calabasas residents call on when they need a repair done. Our technicians are there to help you get your gate working again. We can handle any type or manufacturer of gate mechanisms that you might have at your home or business. We can handle just about any repair need you might have. We carry many common components that will allow us to complete your repair without making multiple trips. We want to be your choice for Calabasas security gates repair. You can call on us when you need any sort of Calabasas gate repair. Quite often customers need us to handle Calabasas hinge welding repair work. If your swinging gate hinge comes loose, a weld may just fix it better than ever. 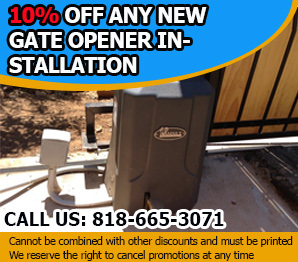 When it comes to repair gate motor, Calabasas residents can call on us as well. When the motor stops, it might just be a wire loose. On the other hand, it might be more difficult. Our technicians can handle these repairs for you to get your home and business gate working again. You may find the gate works better than it ever has before. Sometimes you might need a Calabasas gate wheels repair. Gate wheels allow the gate to move freely along the track or along the ground. If the wheels come loose or fall off, it will cause the gate to fail or not work properly. We can get your gate wheels working fast and easy. We are the best Calabasas gate repair company in the area. Residents and businesses alike know they can count on us for Calabasas security gates repair and installation. Do not settle for less than the best when we are only a phone call away. All you need to do is pick up the phone. 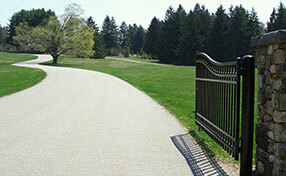 Calabasas security gates repair is just the beginning of services that we offer. 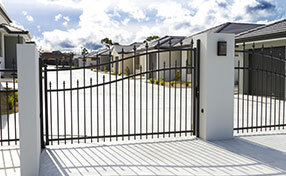 We offer a full line of security gates for both commercial and residential properties. We can install new gates or replace existing ones, as you need it. We also offer you a line of wrought iron and steel gates that you can use as both decoration and security items. When you need Calabasas gate repair, give us a call. We are here to help you night or day. We are ready to serve.